1. Can I change items in a party kit? Unfortunately not. 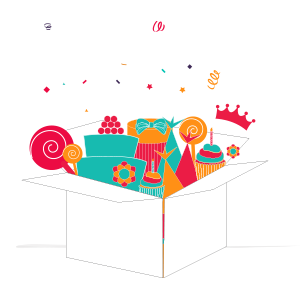 The box is a complete party and contains everything needed for the perfect party. 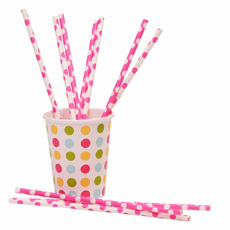 If you wish to add an item you can do so through the party supplies section of our website. All payments are processed through our secure website and payment system. We use the market leader SagePay and currently accept VISA, MasterCard, VISA Electron and PayPal as forms of payment. If you place your order before 2pm from Monday to Friday we shall dispatch your order that same day. If you place your order after 2pm or at the weekend we shall dispatch goods the next working day. 4. Can I return my product? Yes, we offer a full return policy. If your product is damaged on delivery please contact us immediately and we will offer either a free replacement or full refund. Though you will need to return the product to us, we will pay for postage. If you simply change your mind, please contact us and return the product in an unused state and its original packaging. We will then refund the product cost to you. Original delivery charges and return delivery charges will be your liability. 5. Can I order products individually? 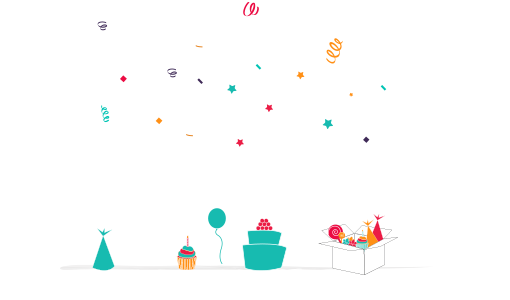 Yes, order through the party supplies area on the website. 6. Where are my products? If we have issued you with a dispatch e-mail your goods have been sent. Please contact us and we will check for you. Also, please check with your neighbours to see if goods have been left with them or whether a card has been posted through you letterbox. If you cannot find the perfect party theme, contact us with what you require and we will see what we can do.